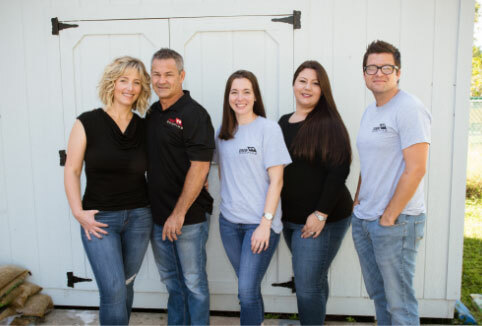 About Us | Drew Roofing, Inc.
Trust our family to Roof it RIGHT! Drew Roofing is a fully licensed and insured St. Petersburg family owned and operated business. We believe in quality craftsmanship at a fair price and above all customer satisfaction. Our entire staff is family! That’s right, we don’t hire subcontractors or temporary help. Our roofers are full-time professionals. From the awesome customer service and sales team, to the entire crew installing your roof. Our team is experienced, trained, certified, and loyal. 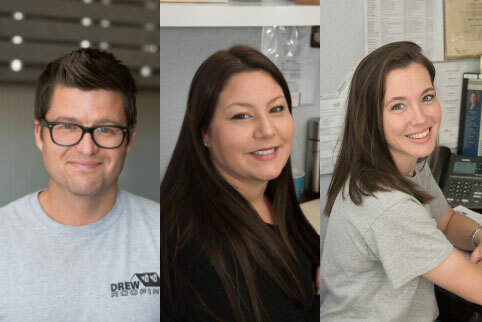 Most of our team have been part of the Drew Roofing family for over 12 years. Drew Roofing is honored to receive GAF MasterElite award. Only the top 3% of roofing contractors in North America are awarded this. This also allows us to offer the Golden Pledge warranty from GAF, the only warranty in the roofing industry given the Good Housekeeping Seal as the Gold standard of excellence. 1. If you’re taking bids for your roofing project, keep in mind the lowest bid is not necessarily the best bid. A low bid may be an indicator of poor quality materials or sub-standard work. At the same time a roofing contractor may be able to offer an affordable bid because he has low overhead or a source for quality materials at lower prices. 2. Is the roofing contractor an established business? 3. Make certain the roofing company is licensed and insured. A reputable roofing contractor will be happy to provide you with a list of previous customers. 5. Check with the Better Business Bureau and the County Licensing Board. This is where you’ll find those unhappy customers if there are any. Remember that any company that deals with a large volume of customers can get a few complaints. What’s important is how they handled those complaints. Also check other reputable sites like Angie’s List and Google. 6. Look for a roofer that has good communication skills. 7. Make certain you hire a roofing contractor that offers a guarantee on the project. 8. A roofing company is only as good as the workers they employ. What kind of training or skill levels do they demand of workers? Do they provide safety training programs? Workers that follow safety training procedures have been proven to have less accidents on the job. 9. Does the roofing company crew clean up the job site? If they need to remove old roofing materials is the clean up included in the cost? 10. Get a written contract. While an old fashioned handshake is nice and a sign of a courteous contractor, you still need to have everything in writing. This includes the scope of the project, the materials to be used and their specifications and agreed upon total cost.